Many routes crossing the mountain ranges in Washington State had humble beginnings as native trails, wagon roads and stagecoach lines. In the fall of 1853, the Longmire party of settlers blazed an early wagon route across the mountains via Naches Pass near Mt. Rainier. In the 1860s, the trail over Snoqualmie Pass became a little more civilized with the development of a wagon road by Arthur Denny and other Seattle pioneers. Near the turn of the century, the legislature authorized one of of the first state highways which followed portions of the Cascade Wagon Road from Marblemount to Stehekin in the North Cascades. Today some of these old wagon roads are still available for the adventure rider to discover and explore. The Naches Pass wagon trail has evolved into a popular 4x4 and off-road motorcycle route managed by the US Forest Service. The Snoqualmie Pass wagon road is accessible from the Denny Creek road near Interstate 90 and was described in the August issue of Sound RIDER! The Cascade Wagon Road, now ensconced in the North Cascades National Park, can be re-discovered on the west side by following Cascade Road out of Marblemount and on the east side via the upper Stehekin Valley Road. Unfortunately there are no roads to Stehekin. In this continuing series of articles, I will illuminate some back road byways and off-pavement diversions hidden in the forests of the Cascade Mountains. You will discover there are alternatives to droning along with the SUV clones on the super slab. These sections can be used in two different ways: first, as a quick diversion to spend a few miles off the highway or to bypass a traffic jam, then rejoin the highway for the rest of your trip, or second, you can put the described sections together into a true adventure Gelandestrasse tour and just use the highway to connect sections together as needed. With its modern roots going back to the 1880s, Colockum Road between Wenatchee and Ellensburg was part of a larger system of routes in the Northwest linking California with British Columbia. It was an important cattle drive route connecting with the Caribou trail which came north from The Dalles, Oregon. In earlier times, the Colockum area was used by Native Americans as a rendezvous point and an Indian race track is still visible. Today much of the land is managed by Washington Department of Fish and Wildlife as a wildlife area. The road traverses Colockum Pass at 5373 feet. Northbound: From downtown Ellensburg, go east on University Way which continues as 10th Avenue and then continues as the Old Vantage Highway. Turn left onto Number 81 Road, then right onto Brick Mill Road, then left onto Colockum Road. Continue to Colockum Pass and Wenatchee. Southbound: From downtown Wenatchee, go south on Wenatchee Avenue which continues as Malaga Road and then continues as Colockum Road. Continue past the large aluminum plant and Rock Island Dam along the Columbia River. At a fork in the road just before crossing under high tension power lines, bear to the right. There is an information kiosk here. Continue up to Colockum Pass and onto Ellensburg. Road Type: Pavement, dirt, gravel, broken rock, rip-rap. This route is very rough in some sections and rather hard on tires so bring your flat fix kit and air pump. As you bounce across the summit imagine stagecoaches clattering across these rocks! This wagon road was developed during the Swauk gold rush of the 1870s. It was the main road between the mining camps at Swauk creek and Peshastin creek. Named after the Blewett Mining company, there was once a lodge on top of the pass. Now the 4061 foot summit is only marked by a small sign. Later this route was improved to become part of the Sunset Highway, US-10. Because of the many switchbacks and sharp curves the highway was relocated to Swauk Pass in the 1950s. The name Swauk never took hold with the public and the new highway was still called Blewett Pass. Eventually the Department of Transportation officially renamed Swauk Pass as Blewett Pass and the old road was called "Old Blewett Pass." The old highway is now managed as a single lane US Forest Service road. The pavement is rapidly deteriorating but some of the old lane markings are still present and it is a good example of road engineering from the 1920s. Northbound: On US-97 about three miles north of Mineral Springs, turn left onto Old Blewett Pass Highway. Follow the pavement and continue over Old Blewett Pass to rejoin US-97. Southbound: From the US-97 and US-2 junction, go 12.5 miles south, take a right turn onto Old Blewett Pass Highway. This is an easy turn to miss, it is just before a eastward bend in the main highway and about 2 miles south of the old town site of Blewett. Follow the pavement and continue over Old Blewett Pass to rejoin US-97. Road Type: Broken asphalt pavement with rocks and gravel on the road. Jacob Durr constructed the Durr Wagon Road from Ellensburg to Selah crossing Umptanum Ridge and Creek. Completed in 1888, it was proclaimed to be the "shortest route to the Kittitas Valley." 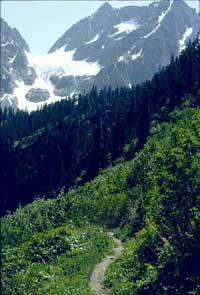 This rutted route traverses the LT Murray and Wenas wildlife areas so there are plenty of opportunities for viewing big game, birds and rattlesnakes. Legend has it that Jacob Durr drowned in the Columbia River under mysterious circumstances. Perhaps a disgruntled stagecoach passenger did not like this road so much! Northbound: From Selah, go north on N. Wenas Ave., which continues as Wenas Rd. Turn right onto Sheep Company Road and then continue on Old Durr Road. Continue north to Umptanum Ridge and Ellensburg. Southbound: From Ellensburg, go south on Main Street which continues as South Canyon Road. Turn right on Umptanum Road. Continue on Umptanum Road as it curves south. Once you enter the canyon and start climbing the hills, watch for the Old Durr Road turnoff on your left. Continue south on Durr Road to Umptanum Ridge and Selah. Road Type: Dirt, gravel, and loose rock, one small creek crossing. The grades over Umptanum Ridge and the deep ruts are challenging. Until next time, get out there and get your adventure bike dirty! DISCLAIMER: Routes described herein traverse public roads and may be primitive single lane roads with minimal or no warning signs. You will experience varying road surfaces ranging from broken asphalt to groomed gravel to rough dirt. Road and weather conditions can change at any time without notice, so check with the appropriate travel authorities for current conditions. You are responsible for your own safety.